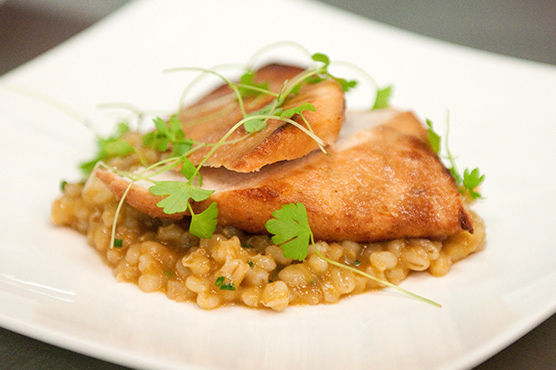 We serve a seasonal menu fusing traditional and modern English cuisine with choices to suit all tastes and appetites. Our dishes are prepared on the premises by our experienced and creative head chef using fresh, locally-sourced ingredients wherever possible. 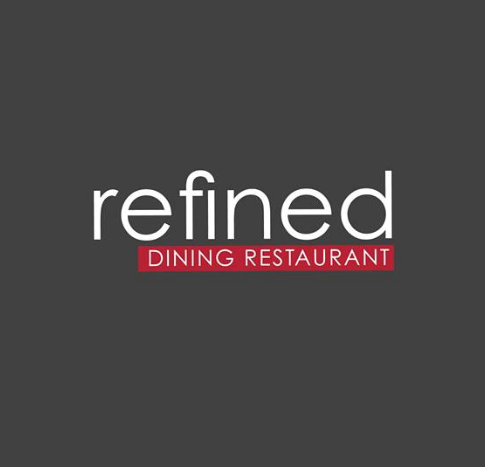 Providing a relaxed dining experience with panoramic views of the Nottinghamshire countryside, Refined is set to become the premier restaurant for local food lovers. Always an excellent  dining experience. The students should be proud of themselves. Just a couple of comments that would have improved our experience. The bottle of tap water we had was tepid. I only drink cold tap water so did not drink it. Another small item was that we had no cutlery for our prawn and salmon cocktail, which we didn't realise until we had nothing left to eat our main course. It was a little difficult eating the cocktail with a knife  and fork! However the students did very well, polite, obliging and very keen to check we were OK. Cannot fault anything!! Friendly, efficient service, top notch food &,lots of smiley faces. Have been lots of times before & we've already booked our Christmas lunch. Excellent service with very friendly staff, exceptional value for money. We dined with you last Sunday and were very disappointed, we were not served with any bread before the meal, the table water was not chilled, the service was not up to its usual standard. My wife ordered a sticky toffee type sweet which was burnt on the bottom. I was looking forward to a chicken lunch but it was not on the menu so I had the beef which was very tough and chewy. The people on the table next to us warned us about the beef but I like to make up my own mind, I wish I had taken their advice, they had both left their beef. From the moment you arrive until the minute you leave you know you have come somewhere special. The service is friendly, relaxed and professional; it's a great place to dine as a couple or with friends and family. The food is exceptional in presentation, taste and is good value for money. The decor is modern and stylish; it's a pleasurable place to be. Thank you. Superb quality food and very attentive staff. The ambiance was very welcoming, I liked being greeted at the entrance by a member of staff. The service was good without being over fussy. Your wine list was suffiucient for most people and also priced keenly. Superb to be able to chat to the students also. We are a rowdy group of walkers in the upper age bracket not always easy to please. But your students were helpful, efficient and provided a brilliant service, the food was of a very high standard, we cannot praise them enough, the whole team were exemplary. A really enjoyable evening. The food was fantastic as always and the staff were very attentive and helpful. The chef was able to provide an alternative dish for people with allergies which was very impressive. Looking forward to next visit! Booked to celebrate our friends wedding anniversary and was not disappointed! we were welcomed with a complimentary glass of prosecco and all thoroughly enjoyed our meal which is on a par with the best restaurants in town. We've booked for some of the THEMED evenings for next year. 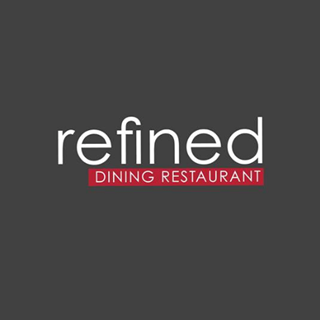 Thank you Refined Dining! We really enjoyed our evening at Refine. All the courses were superb but the starters particularly were excellent. Service was good although maybe slightly overly attentive at times (how often can you say that though?). You could probably serve the chocolate tart in smaller portions, it was utterly divine but none of us could finish our servings but that's the only complaint I can think of. I'll definitely be recommending Refine! Another excellent meal: very well done to the tutor and her students. From the beginning to the end of the meal, we had a fabulous experience. The food and service was fantastic and we will certainly be visiting again. Thank you to all of you for your hard work, front of house and in the kitchen. Very proud to have such a wonderful dinning experience in Mansfield.Reluctantly sharing my favourite place . Great service in terms of friendly and helpful staff but massively understaffed and far too wait in between courses. We were there nearly 3 hours! Have put my comments on trip advisor , all positive, i assure yoi! Staff friendly and very efficient - very accommodating as they were aware that we were under a time pressure and managed to serve us a three course meal in just over an hour - without making us feel rushed!